Product prices and availability are accurate as of 2019-04-03 13:38:57 EDT and are subject to change. Any price and availability information displayed on http://www.amazon.com/ at the time of purchase will apply to the purchase of this product. This lovely Italian onion with excellent, strong flavor and attractive, dark red skin is commonly used in Italy for Pinzimonio, a colorful mixture of raw vegetables served with a separate bowl of olive oil and salt. 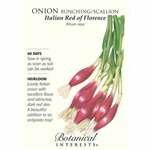 It can also be used in almost any dish requiring onions. 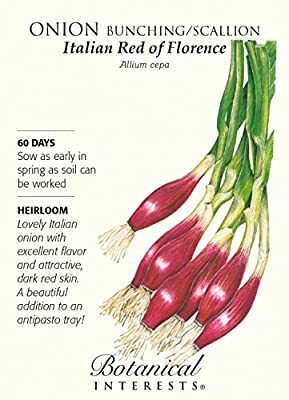 Though it looks like a bunching onion and is often listed as one (as on our current packet), it is actually an intermediate day onion that makes a small, but plump bulb that will grow in most areas of the United States.